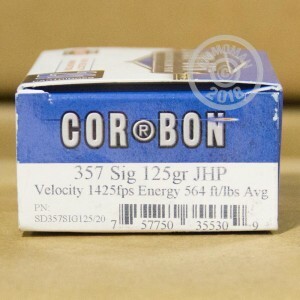 This defensive load from Corbon takes the already-powerful .357 SIG to the next level, firing a 125 grain JHP at a muzzle velocity of 1,425 feet per second. These impressive specs make it a particularly good choice for full-size pistols like the SIG P226 and Glock 31. 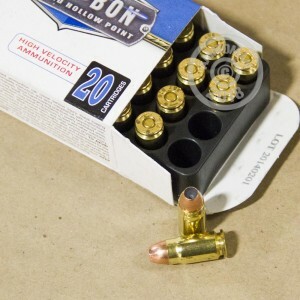 Corbon hollow point cartridges are loaded in South Dakota and uses non-corrosive Boxer primers and brass cases. Each box contains 20 rounds. Stock up at AmmoMan.com on all your favorite brands. All orders over $99 ship for free, so go big to save big!